The wait is over, you have found the house! 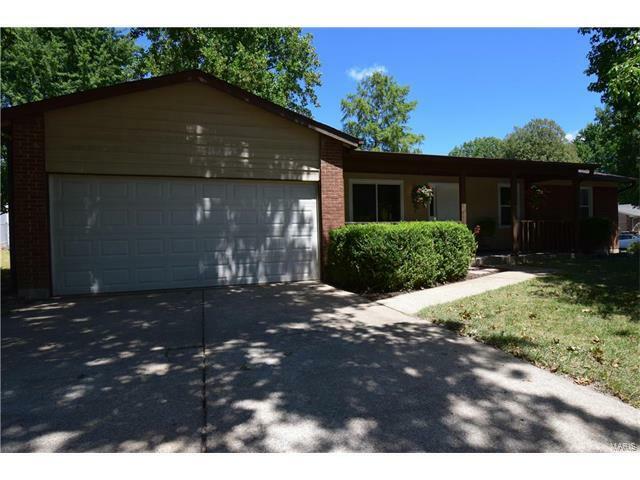 This 3 bed 2 bath ranch on a corner lot, in the desirable Crescent Hills Subdivision, is a true stunner. Everything is new floor to ceiling, new windows installed by Window World, too many updates to mention, completely turn key. From the moment you walk through the door you will notice the new lighting and floors that guide you from the dining room to the open floor plan kitchen and living room. All bedrooms are down the hall and are just as updated. Master and hall bath have been completely updated with new tile and vanities. The partially finished basement is huge, with a wet bar for entertaining and ready for you to add you own personal touch. This one truly needs to be seen to be believed! New roof in 2016, new AC in 2015, and a 1 year Choice Ultimate Home Warranty for piece of mind. This gem is just off Willot Rd, 5 minutes from 70 or the Page expansion.